Nike Air Max shoes were first introduced in 1987 and since then these iconic shoes have undergone several style changes. These shoes come equipped with air cushions at the heels that add to the shoe's responsiveness and comfort. Cleaning a pair of Nike Air Max shoes correctly will help ensure that these potentially expensive kicks are not destroyed during the process. Remove the laces and any inserts found inside of the shoes. 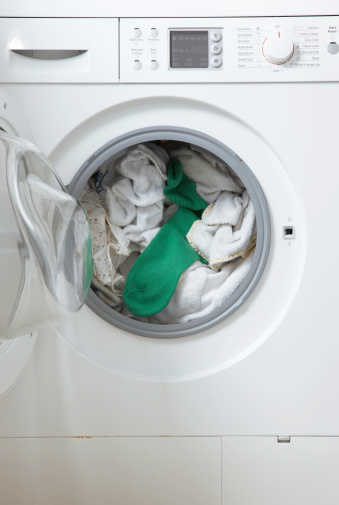 Set the inserts aside and throw the shoelaces into your next washer load. If you prefer, you can replace laces that are extremely stained or damaged. Remove any larger chunks of dirt or debris from the shoes with a plastic scrub brush. Fill a small bowl with 2 cups of warm water and 2 tbsp. of mild dish soap. A mild soap will contain no dyes or perfumes. Dip the corner of a soft cloth into the mixture and use it to clean off the outside of the shoes. 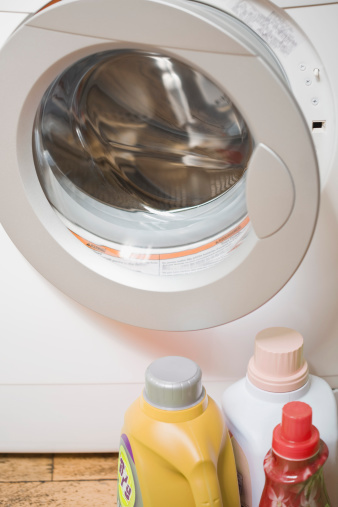 Use overlapping circles and a moderate amount of pressure to remove any difficult stains. Remove any scuff marks from the shoes with a pencil eraser. Wipe down the entire shoe, both inside and outside with a damp cloth. Set the shoes onto a towel and allow them to air dry completely. Do not place the shoes into the dryer as this will warp or even melt the shoes. Replace the shoelaces and inserts when the shoes have completely dried.